जानिएshare capital किसे कहते है और share capital कितने प्रकार के होते है ( Authorized capital,Issued,Called-up कैपिटल,Paid-up कैपिटल, Security Premium, Share Issued at Par , Share Issued at Premium capital,Subscribed capital). 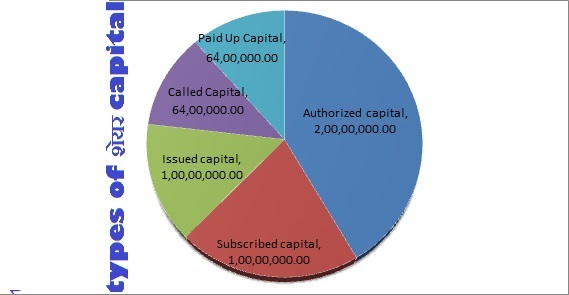 The amount of capital (out of called-up capital) against which the company has received the payments from the shareholders so far. Shares क्यों जारी किये जाते हैं?